The full Evolution Wheel lineup has been designed with our customer and their needs in mind. Reducing downtime is something that every company says but Evolution Wheel EATS, SLEEPS and BREATHES it! Designing products that keep our customers working is our highest priority. We take lessons learned on the jobsite and incorporate them into everything we build. Skid steers are designed to work hard in harsh environments. These sturdy machines can deal with rugged terrain and changing conditions, making them ideal for a wide variety of heavy-duty applications. However, outdated pneumatic skid steer tires can decrease the skid steer's efficiency. Pneumatic skid steer tires are prone to punctures and cuts, leading to a deflated tire and a temporarily useless skid steer. 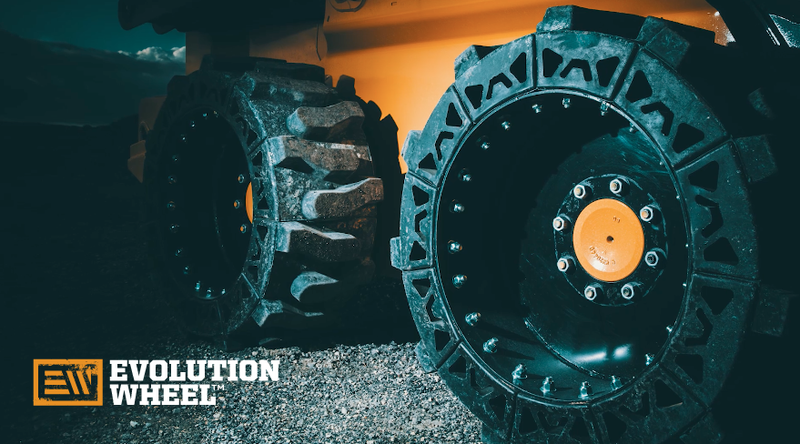 Switching to high-quality flat proof skid steer tires will save you time and money by improving your machine's performance in a number of ways. Skid steer loaders play an important role in many industries, including construction, demolition, mining, landscaping, waste management, and more. However, when equipped with improper skid steer tires, skid steers are susceptible to many problems that can lead to wasted time and money. When purchasing new skid steer tires for your loader, consider airless skid steer tires over the standard pneumatic skid steer tires. 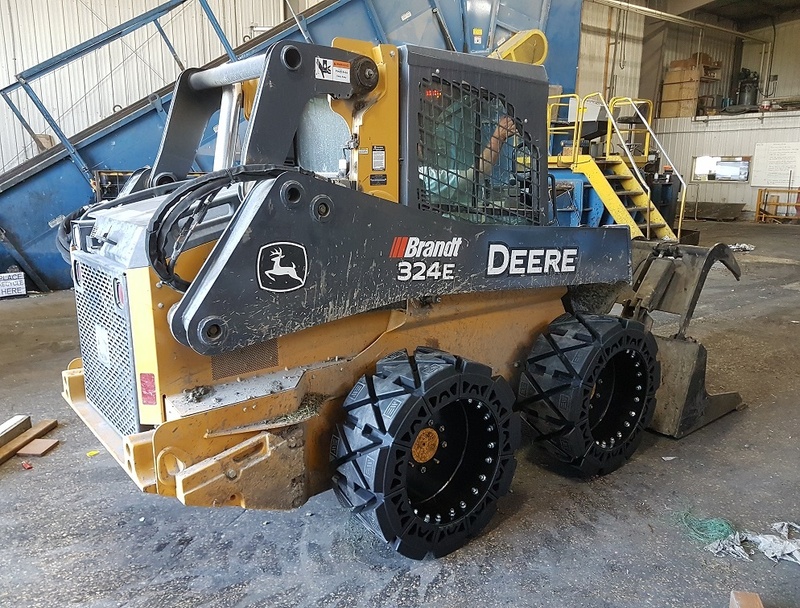 Airless skid steer tires outperform pneumatic skid steer tires in many ways and offer some great benefits to your job site. Skid steers play important roles on nearly any job site, from mining and construction to recycling and landscaping, and everything in between. Without proper skid steer tires, however, your skid steer may end up out of commission, delaying progress on your projects and requiring expensive maintenance and repairs. 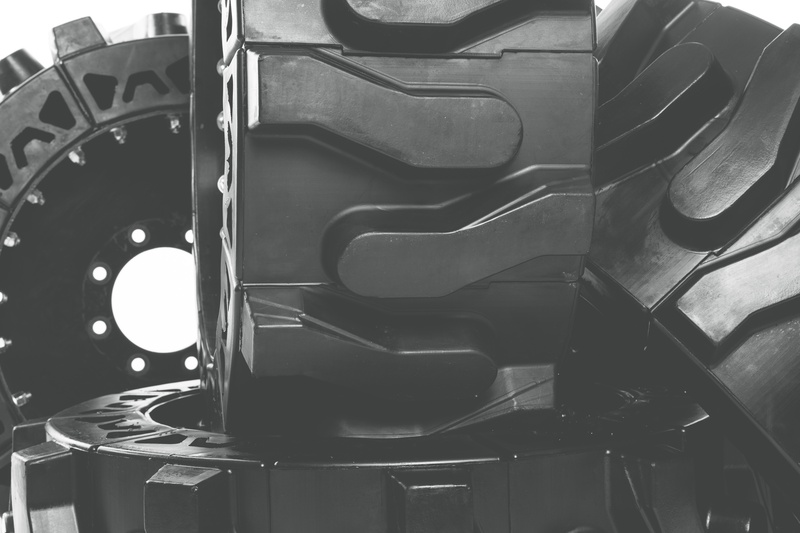 When equipping your skid steer with new tires, consider solid cushion skid steer tires to increase the performance of your skid steer loader and guarantee longer tire life through the heaviest-duty applications. 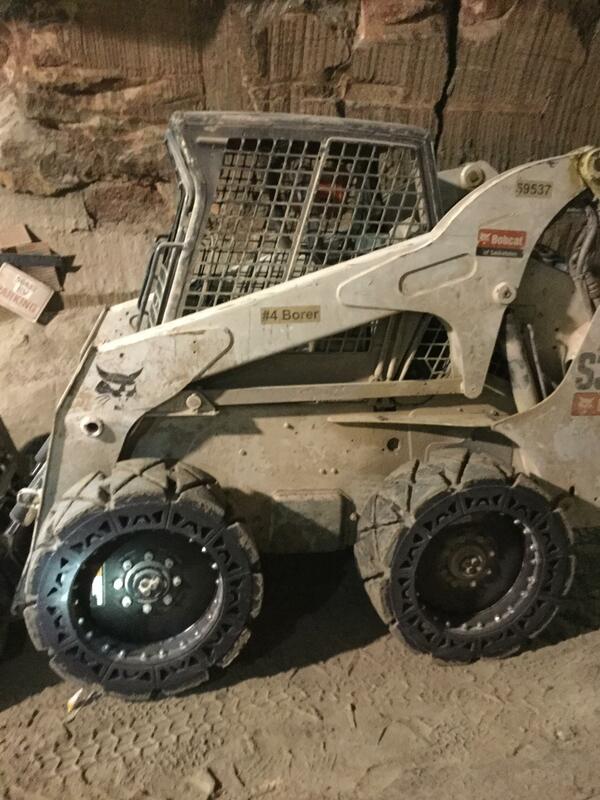 Bobcat tires are one of the most vulnerable parts of a skid steer loader. Frequent flat tires can become a costly issue. On busy work sites, it is difficult for drivers to see and avoid small debris that could cause a bobcat tire puncture. If your Bobcat is used on a typical work site, it will likely be exposed to numerous situations and objects that could injure the tires. However, there are some things you can do to help avoid these problems. Here, we will discuss some methods of avoiding punctures and how to deal with a flat when it does occur. Your skid steer loader may be one of the most important machine used within your daily operations. Particularly when it’s used as a yard machine, your skid steer is going to be working on and off concrete. 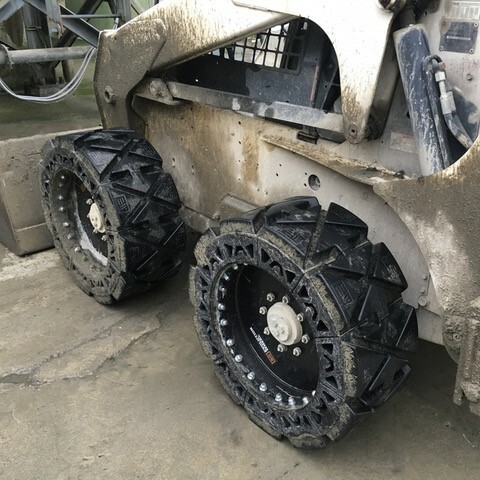 This is why choosing a quality bobcat tire will ensure that you have what's needed to support your machine for everything that you want it to do. Civilization as we know it wouldn't exist without concrete. From the foundations of buildings, to highway development, to the sidewalks we use every day, this durable yet versatile material is the backbone of construction. This is why concrete plants are such a critical component of keeping our cities, towns, and even our homes safe and sturdy. Day after day, laborers and heavy machinery work hard to ensure there is an ample and ready supply of concrete to be hauled away from the plant and put to good use building the things that make modern life possible. 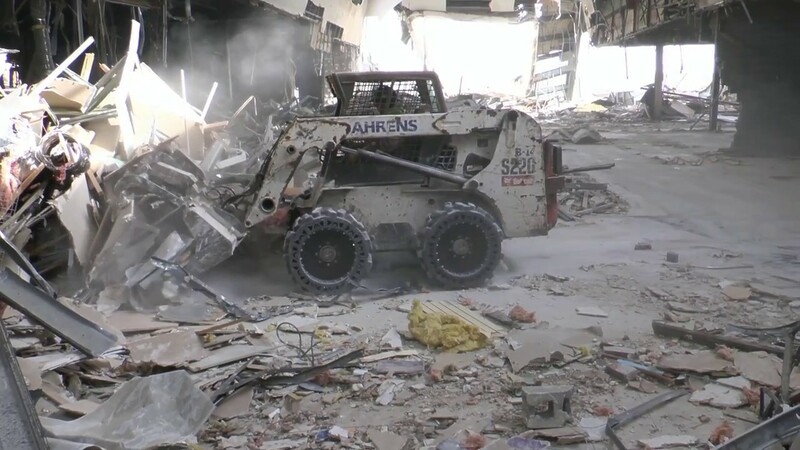 The demolition industry is a vital part of any city or town's growth. Old, outdated, or dangerous buildings must be torn down to make way for new and modern construction. It's tough and messy work, requiring strong people and even stronger equipment. Demolition sites are often hazardous, with many liabilities not just for worker safety, but also for damage to excavators, loaders, skid steers, and other necessary heavy machinery. 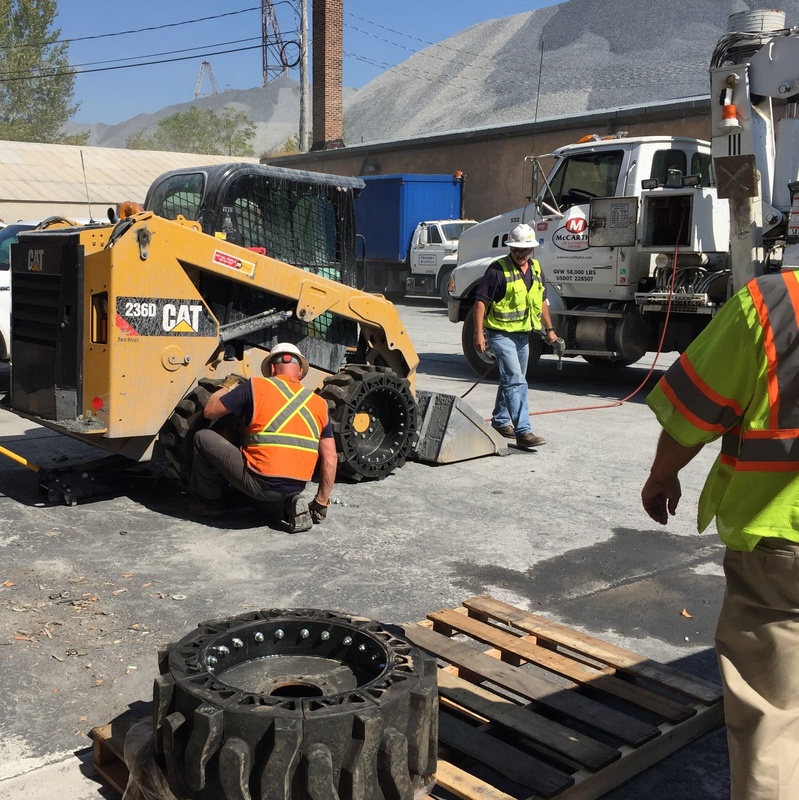 Demo is particularly tough on pneumatic bobcat tires, potentially leading to a high cost for the contractor who must deal with frequent bobcat tire repair and replacement. Dairy farmers often use skid steer loaders throughout their farm operations with much of the time spent working in barns. If you're using one, it's important to look at the tires you're using on you’re machine. If you're still using pneumatic skid steer tires, you might be wasting money and losing productivity. 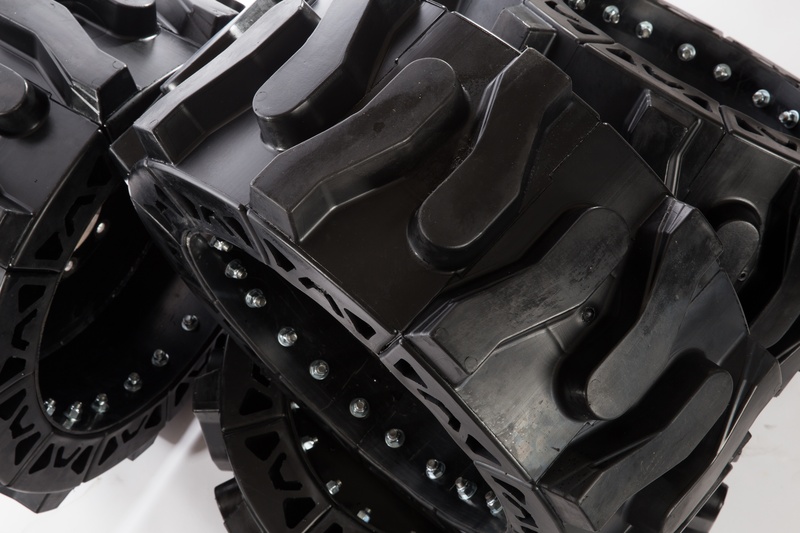 A hard surface skid steer tire will provide you with incredible advantages. The hazards of underground mining require operators to have specialty equipment and features for their machines. A skid-steer clambers over hard uneven rock all day every day for the duration of its job, and the constant rough friction wears tires out prematurely; changing out tires on a regular basis is time-consuming and definitely not cost effective. 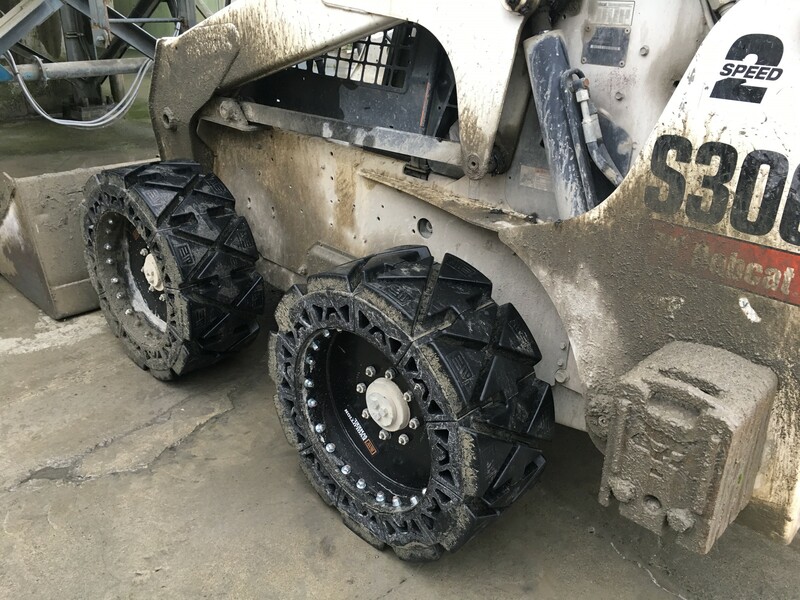 The best skid steer tire under conditions this severe needs to be a hard surface skid steer tire that can stand up to the many challenges a skid steer tire faces in underground mining applications. 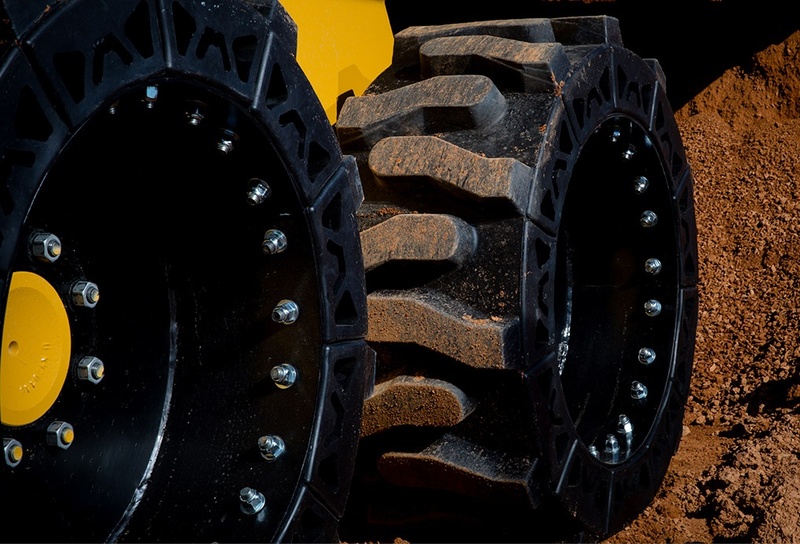 What tire is best for skid steers working on landscaping projects? 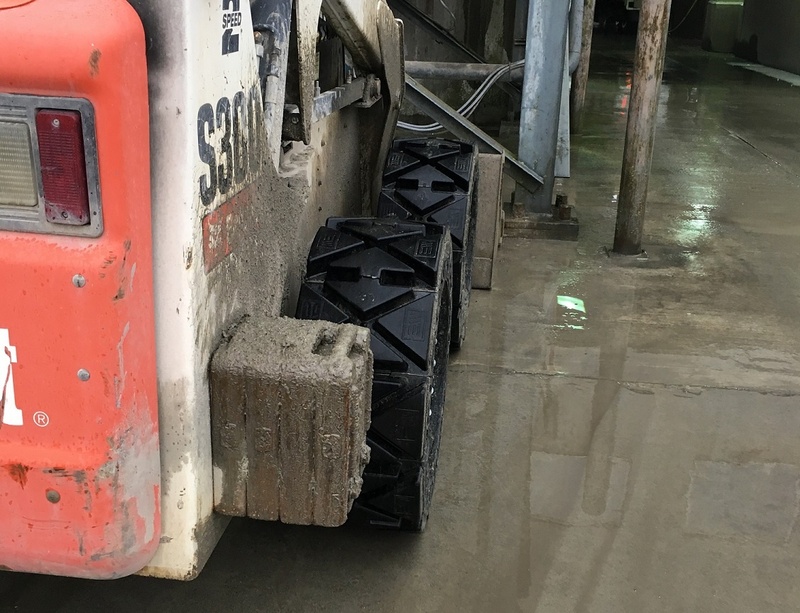 With all the various considerations of a landscaping job (scheduling, equipment rental, weather conditions) it's important to understand how the right skid steer tire can save money and increase the ROI on your projects. One common misconception about skid steer tires is that pneumatic all-terrain skid steer tires are always best. All-terrain tread patterns are certainly best for soft surfaces like mud, less so on hard surfaces like asphalt. Hard surfaces break down all terrain tires quicker because of reduced surface area in contact with the ground. The optimal tire for landscaping is a hard surface skid steer tire.